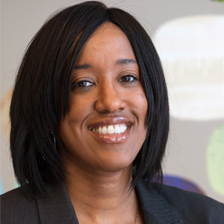 Tonetta Conner is managing partner of the Harrington Group, a private and public accounting firm based in Los Angeles. Over her many years with the firm, she has drawn upon her extensive experience to provide accounting, auditing, tax, and management advisory services to the firm’s nonprofit clients. Prior to joining the firm, Tonetta worked as a controller for a design-build firm and as an accountant at a Los Angeles-based CPA firm. She has a degree in Business Administration, with an emphasis in Accounting, from the University of California, Berkeley, and is a licensed CPA. She enjoys public speaking, teaching, and has shared her insights as a speaker at the California CPA Education Foundation’s Nonprofit Organizations Conference, CompassPoint conferences, and for her firm’s “NPO Symposiums.” Tonetta is a member of the American Institute of Certified Public Accountants (AICPA) and the California Society of Certified Public Accountants (CalCPA). She also holds a Chartered Global Management Accountant (CGMA) designation from the AICPA.